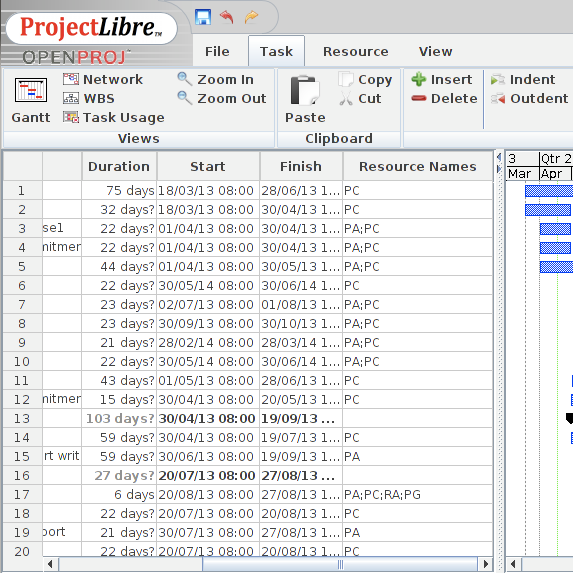 ProjectLibre is a project management tool similar to Microsoft Project. It allows you to plan your campaign or project by creating different tasks, stages and milestones against a calendar. You can allocate who will do each task and indicate how much time, money and other resources will be needed to complete them. 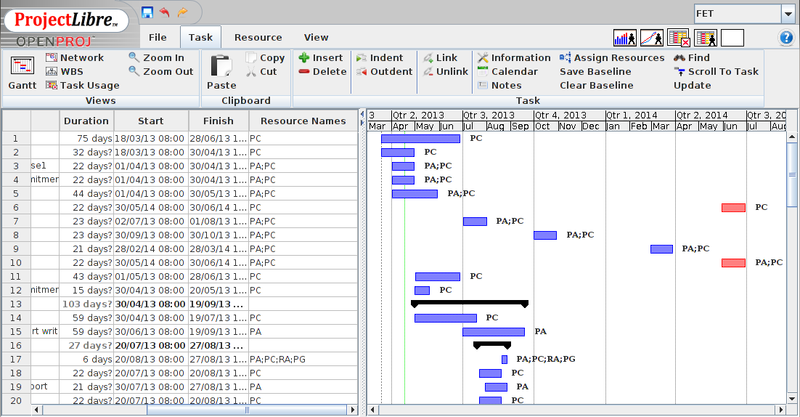 The tool also provides different ways of visualising your project, including Gantt charts (bar charts linked to a timeline) and PERT diagrams. If you want to use online project management software then there are some similar tools available. 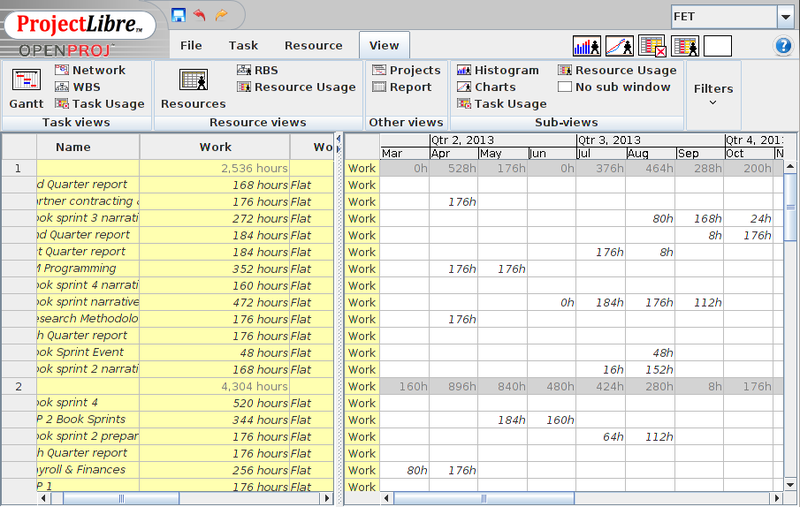 Two such tools are gantter.com and LibrePlan. You can sign up and start using gantter.com straight away, but you need to download and install LibrePlan on your own server.